Ahhh spring… the time of asparagus, fresh eggs, wild garlic and fiddleheads! 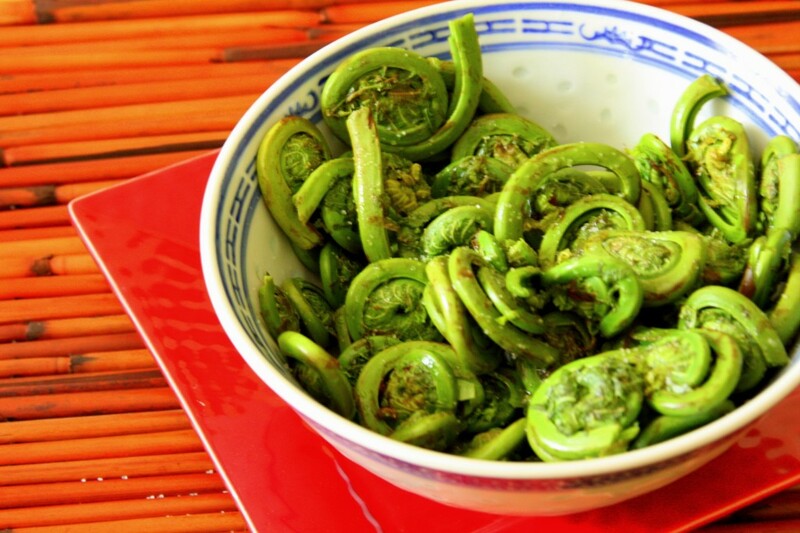 Fiddleheads are the tighly tucked buds of the ostrich fern and taste like a cross between asparagus and green beans with a buttery texture almost like okra. If you are out picking fiddleheads at the end of April, early May, make sure you only pick the ostrich fern. The other varieties are poisonous. The fun of fiddleheads is they are totally seasonal, you can only eat them for 2 weeks early spring, and then they are gone forever. I like that. It makes you savour and appreciate them. Preparing fiddleheads is something you must be thorough with- you must trim the stem,s scrub off the brown casins if there are any, and soak them for 2 hours or so. And you must boil them for 10 min- the water needs to turn blackish in colour. Also, don’t keep them in the fridge for more than 2 days. 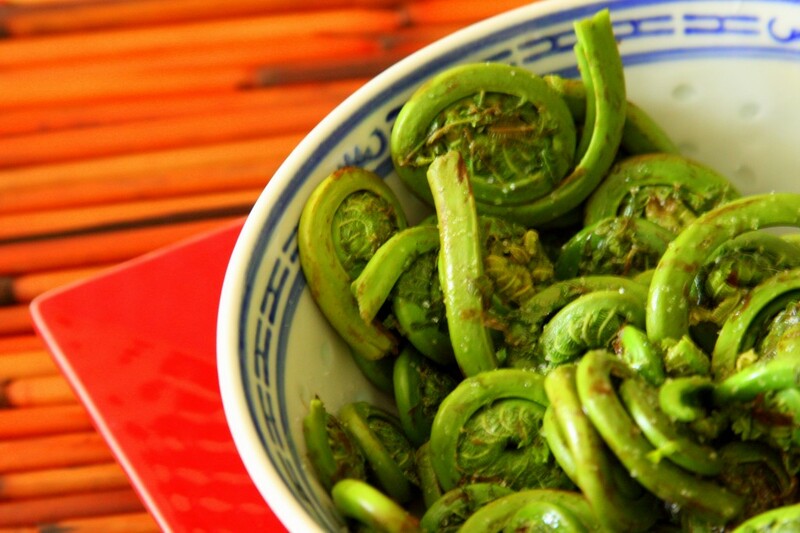 Soak the fiddleheads in water for 2 hours or over night in the fridge. Rinse them off, rub off any excess brown fronds. Trim the ends off each stem. Drop in boiling water and cook for 10 min. Drain, rinse in cold water, season with lemon juice, oilive oil, salt and pepper. Thanks for posting the recipe!!! !